The original Star Trek fielded scripts from a number of veteran sci-fi writers, including Richard Matheson (I Am Legend), Jerome Bixby (Fantastic Voyage, “It’s A Good Life”), and Robert Bloch (Psycho). 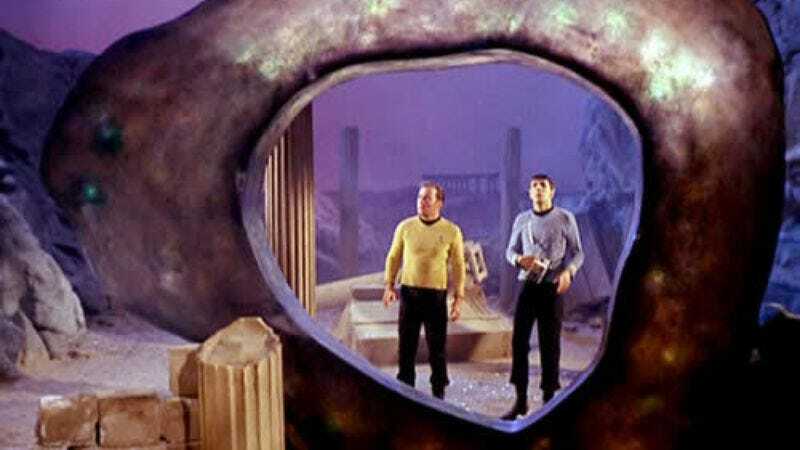 But perhaps the writers’ room’s biggst get was Harlan Ellison, who penned the classic “The City On The Edge Of Forever,” considered by many to be the series’ best episode. Since it first aired, Ellison has made no secret that he was displeased with the changes series creator Gene Roddenberry made to his script in bringing it to television. Now, 47 years later, Ellison is finally taking matters into his own hands, as IDW is publishing a graphic novel based on his original screenplay. Ellison was once so outraged over the adaptation, he went so far as to sue Paramount Television in 2009—though really, Roddenberry’s changes are defensible. Besides being too long and too expensive to film, the original draft of “City” included a drug dealer on the Enterprise, whose flight from justice via time travel changes history, and shows Captain Kirk unwilling to do the right thing until Spock steps in and saves the day. Producers decided that sort of story “wasn’t Star Trek” and changed a few key elements, making it Dr. McCoy who alters the timeline, and leaving it to Kirk to make the heartwrenching decision that restores humanity’s future. Ellison’s version has been available in the past in screenplay form, but the author says that a graphic novel, “is the perfect medium for storytelling. It gives you more range and depth than television.” Now Star Trek fans can take in both versions and decide from themselves.